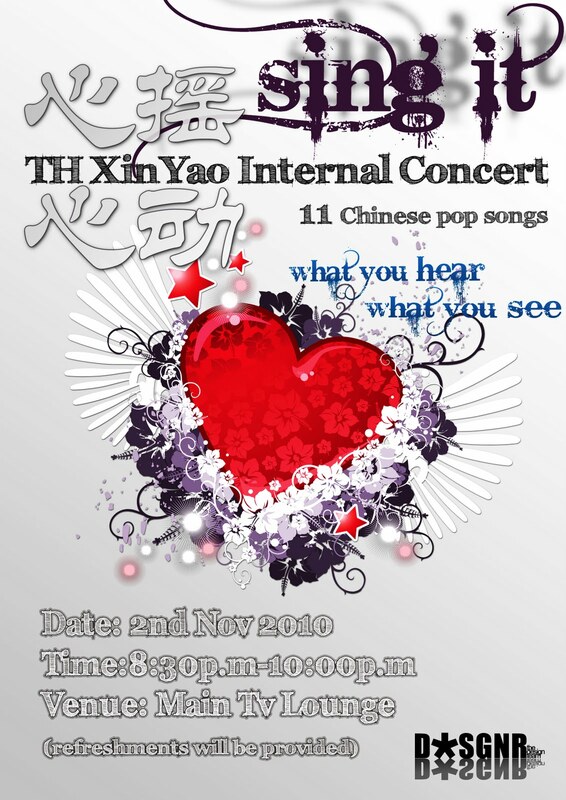 Sing It 心摇心动 is Temasek Hall XinYao 10/11 Internal Concert, held at Main TV Lounge, Temasek Hall during the 1st semester. I was the head for this committee at that time. * Yup, I composed and wrote the lyric for this song. We ordered fish balls, nuggets and sausages from Sheares Hall supper caterer. Nuggets were finished the fastest and we had a lot of leftovers for fish balls. The internal concert was a pretty great show. I was also quite relieved that the outcome of the live performance was better than expected. For more photos, please check out my photo album "Sing It 心摇心动" on Facebook.